Martinsburg, WV’s favorite family dentist, Dr. Hani AlSaleh and his dental team are here to provide you the most enjoyable dental visit you will ever have! Our Martinsburg dental team offers state-of-the-art, quality dental care services with a smile to patients in our local community, including Martinsburg, Inwood, Charles Town, Hedgesville, Berkeley Springs, Ranson, Kearneysville, Shepherdstown, Spring Mills, West Virginia (WV), Winchester, Virginia (VA) and surrounding areas. Call us at 304.267.8702 and experience the difference with Dr. Hani AlSaleh and AlSaleh Dental Center! 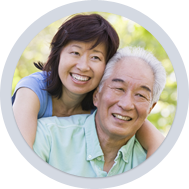 Learn more about each of our general dentistry treatments. 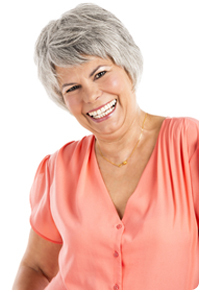 On a routine basis, you will want to have your teeth and gums examined for potential decay or developing gum disease. With most dental exams, you can expect to be checked for gum recession and cavities. However, Dr. AlSaleh takes his exams a step further and checks for oral cancer and other health problems that can reside or originate in your mouth. 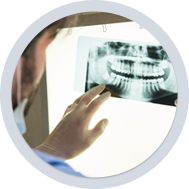 Additionally, Dr. AlSaleh utilizes radiography at AlSaleh Dental Center’s state-of-the-art dental office to examine tissue that is not visible to the naked eye. At AlSaleh Dental Center, your first consultation is complimentary. As a new patient, you will also receive $25 off your first procedure after a full exam, as a way to say thank-you for choosing us! Call 304-267-8702 to speak with one of our friendly dental team members or click here to schedule your initial consultation. Many Martinsburg dentists offer routine cleanings. 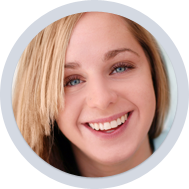 The hygienist will simply remove plaque and tartar and polish your teeth for added sparkle. At AlSaleh Dental Center, we believe that a routine teeth cleaning has the opportunity to be so much more than simply a cleaning that is done routinely. At AlSaleh Dental Center, our routine teeth cleanings are also preventive. 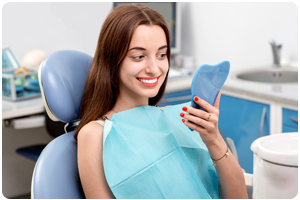 In addition to removing unwanted plaque and tartar, our hygienists perform a periodontal exam, checking the current health status of the gum tissue surrounding your teeth. Current fillings are checked for wear, tear, and erosion. Additionally, the teeth are flossed, polished, and fluoride treatment is applied. Ultimately, your teeth and gums are given an ideal environment for optimal health. Fluoride treatments are designated to help build the necessary protective layer on your teeth to help protect from cavities, tooth decay, and other oral diseases. AlSaleh Dental Center will recommend a fluoride treatment regimen based on your mouth’s personal necessity. While some mouths only require a fluoride treatment yearly, some mouths require an at-home treatment on a much more frequent basis. You may have noticed that your molars (the teeth in the back of your mouth) have lots of ridges that are great for chewing. Overtime, the ridges become worn and tend to get deeper and narrower. Food and bacteria may become nestled and eventually wedged in these difficult to reach spaces. They will cause decay and ultimately lead to cavities if left untreated. AlSaleh Dental Center offers a treatment that will help prevent food and bacteria from getting in those narrow spaces. Dental sealants are comprised of a resin that fills the worn spaces and creates a smoother surface for brushing away food and bacteria. For some, cavities are inevitable. For others, cavities are preventable. 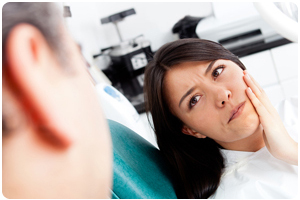 Whether your cavity was inevitable or preventable doesn’t change your need for a solution. You may be experiencing pain due to your cavity, most likely when you chew on the side that has the cavity. 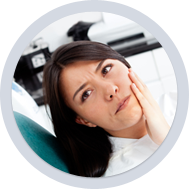 However, even if you aren’t experiencing pain, getting your cavity resolved as soon as possible is extremely important. 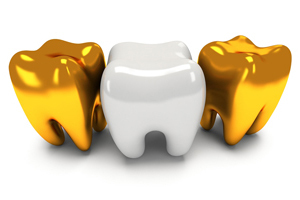 An ignored cavity can lead to further tooth decay that can affect other teeth and the health of your gums as well! AlSaleh Dental Center offers the latest in technological advancements that allow Dr. AlSaleh to safely and effectively remove the tooth decay from the cavity, and then fill the empty spot with a composite resin that won’t allow any food or bacteria to get wedged in, causing more problems. If you have a cavity that has resulted in extensive tooth decay or chipped a tooth beyond repair, your tooth may require a dental crown. Much like a crown that sits on the head of royalty, a dental crown sits on top of a tooth that is almost no longer salvageable. Dr. AlSaleh takes an impression for a dental crown, making necessary modifications for a complete tooth, salvages as much of your existing tooth as he can, and places the dental crown over your salvaged tooth. While periodontal disease can be caused by poor diet, poor oral health regimen, bad habits such as smoking or grinding teeth, or even medication, it can also simply be genetics. 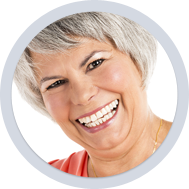 Regardless of cause, action is necessary to salvage and heal gum tissue that is at risk. 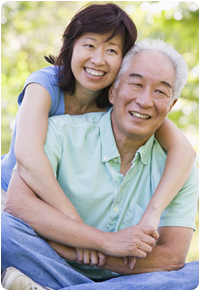 If left untreated, gum disease can lead to both partial and complete tooth loss. 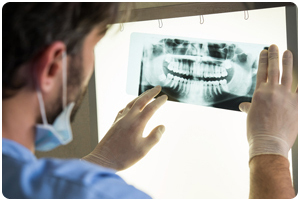 AlSaleh Dental Center offers advanced treatment solutions for gum disease and can also perform a radiography to see a more in-depth analysis of the gum tissue to find problem areas that the naked eye cannot see! If your gums are red, swollen, or bleed easily when brushed or flossed, you may be experiencing one of the more advanced stages of gum disease and should call 304-267-8702 or click here to schedule a consultation with Dr. AlSaleh right away. 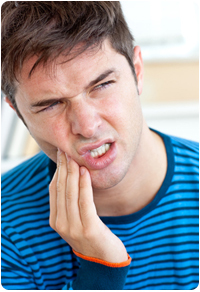 If an infection or tooth decay reaches the root of your tooth, you are likely to experience pain as a result. 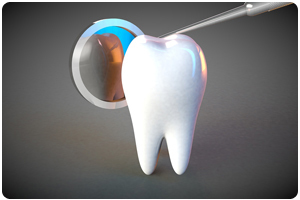 Additionally, a root canal will need to be performed to salvage the tooth. Although the tooth will be dead, the root will be filled with a composite filling and a crown will be placed over the salvaged tooth to retain functionality and bite. 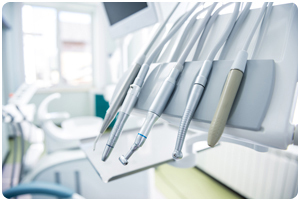 AlSaleh Dental Center is equipped to perform root canals, so you don’t have to worry about being referred to another dentist in Martinsburg or Inwood, WV that specializes in root canals. 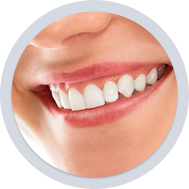 If you are missing one or more teeth, oftentimes the best solution to fill the gap is with a dental bridge. AlSaleh Dental Center is able to provide the care you need when you are ready repair a gap due to a missing tooth. The two teeth surrounding the gap act as anchors and are smoothed to be more receptive to a crown or cap. Prior to placing the caps, the missing tooth or teeth are firmly affixed between the caps to create the complete bridge. Then the caps are firmly placed on the teeth surrounding the gap, mending your smile. 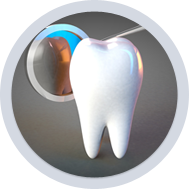 A dental inlay may be required if a cavity has lead to extensive tooth decay or bone loss. A composite material is shaped and firmly affixed in place to essentially fill the empty cavity after all decay has been removed. Dental inlays are also effective in repairing chips or minor cracks. 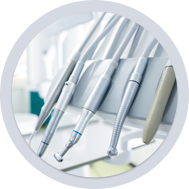 AlSaleh Dental Center has a state-of-the-art dental office that is well-equipped to both prepare and place a dental inlay. Dental onlays may be required if the cusp or ridges of the tooth need extensive repair. 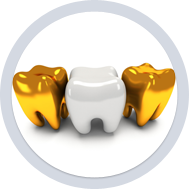 For example, a dental crown is an onlay that covers the entire tooth. Dental onlays are effective for repairing bite or cracked molars. 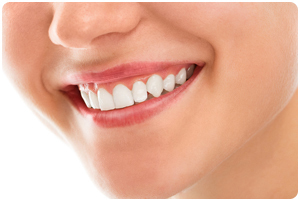 Dr. AlSaleh has extensive training in repairing not only the appearance of your smile, but the functionality as well. In some cases, a tooth may no longer be salvageable. 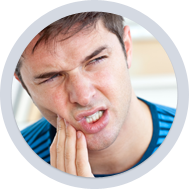 This may be due to an infection that has affected both the tooth and root or a tooth that is already partly detached from the gumline due to injury. Either way, a tooth extraction may be necessary to remedy the situation and provide relief, as well as appropriate dental healthcare. Not all dental offices will provide extraction in-house, however, AlSaleh Dental Center has an advanced dental office that allows tooth extractions to be performed. Additionally, Dr. AlSaleh has several solutions for replacing the tooth, such as a dental bridge or a dental implant. Have Your Most Enjoyable and Efficient Dental Visit Ever! 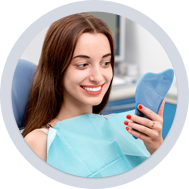 At AlSaleh Dental Center, we understand that switching to a new dentist, or finding a new dentist for you or your family can be a worrisome task. You want to find someone who is professional, offers the services that you need or want, and provides a friendly and inviting atmosphere. We believe we meet that standard and beyond. Follow one of the steps below and have your most enjoyable dental visit ever! 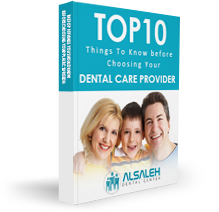 Download and read "The Top 10 Things You Must Know Before Choosing Your Dentist" to find out the most important features your dentist should exemplify and offer. Click here to schedule your no-obligation, complimentary AlSaleh Dental Health Consultation, where you will find out about what dental procedures you may need or what dental health habits you may need to form in order to prevent necessary procedures in the future. Call 304.267.8702 if you have any questions. One of our friendly team members will be glad to assist you! You should do your research before choosing your West Virginia Eastern Panhandle dentist. Ultimately, you should feel comfortable with both the treatment and the dentist. This report will guide you in some key aspects that you should look for in choosing your dentist near Martinsburg, West Virginia (WV). (304) 267-8702 and experience the difference with AlSaleh Dental Center.